Born in Rennes, France, March 20, 1779. Ordained priest at Rennes, June 11, 1808. Consecrated bishop of Vincennes in the cathedral at St. Louis, MO, October 28, 1834, by Bishop Benedict Joseph Flaget of Bardstown, assisted by Bishop Joseph Rosati of St. Louis and Bishop John Baptist Purcell of Cincinnati. Bishop Bruté died at Vincennes, June 26, 1839. His body is interred in the Old Cathedral, Vincennes. 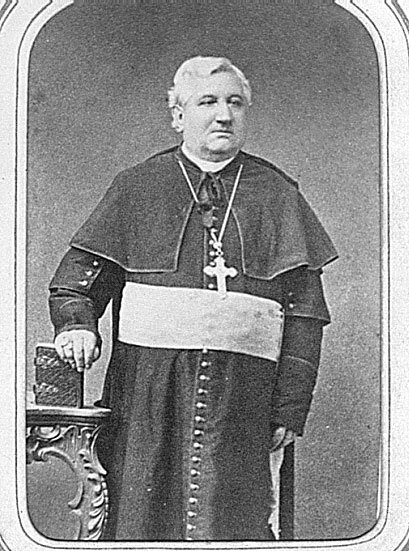 Born in Combourg, Archdiocese of Rennes, May 3, 1798. Ordained priest at Paris, May 28, 1825. 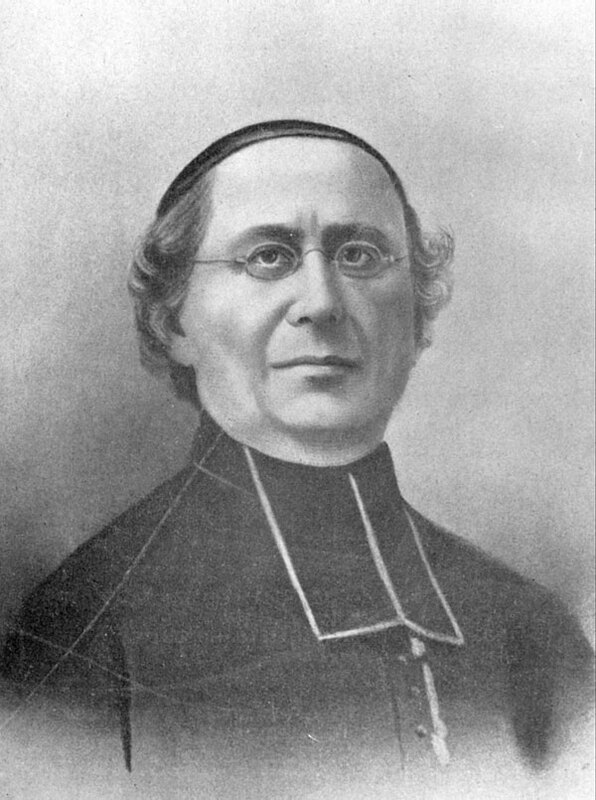 Vicar general of the Diocese of Vincennes, 1839. Named bishop coadjutor of Vincennes, May 17, 1839. Consecrated at Paris, August 18, 1839, by Bishop Charles Forbin-Janson of Nancy, assisted by Bishop Louis Blanquart de Bailleuil of Versailles and Bishop Jean Louis la Mercier of Beauvais. Resigned July 16, 1847, and returned to France. Died May 1, 1882. His body was brought from France and interred in the Old Cathedral, Vincennes, on November 22, 1882. 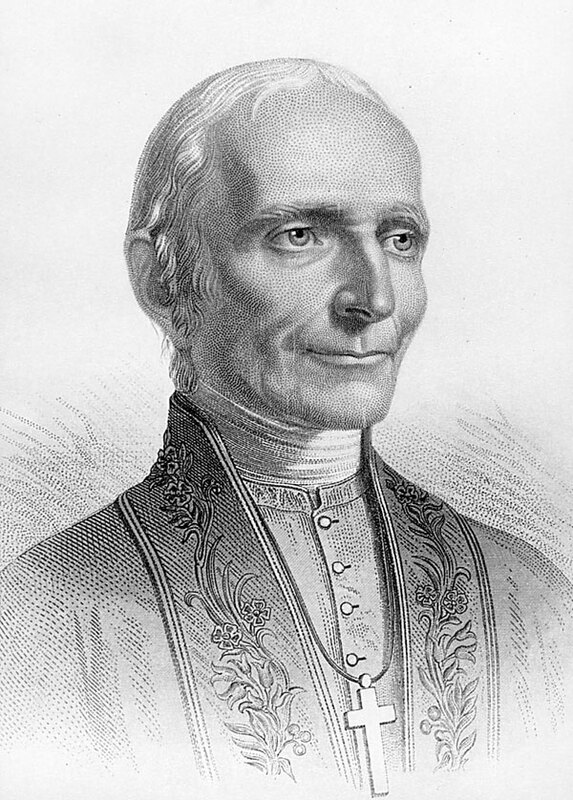 Born in Duerne, Archdiocese of Lyons, France, October 15, 1796. Ordained priest at Lyons, July 22, 1822. Came to the United States in 1830 and was appointed vicar general of Mobile. Consecrated bishop of Vincennes in the cathedral at Vincennes, October 24, 1847, by Bishop Michael Portier of Mobile, assisted by Bishop Purcell of Cincinnati and Bishop de la Hailandière, his predecessor. Died at Vincennes, April 23, 1848. His body is interred in the Old Cathedral, Vincennes. Born at LaSalvetat, France, November 15, 1811. Ordained priest at Paris, May 28, 1836. Administrator of the diocese after the death of Bishop Bazin. Named bishop of Vincennes, October 3, 1848. Consecrated in the cathedral at Vincennes, January 14, 1849, by Bishop Pius Miles, OP, of Nashville, assisted by Coadjutor Bishop Martin John Spalding of Louisville and Very Reverend Hippolyte Du Pontavice, vicar general of Vincennes. Died at St. Mary-of-the-Woods, June 28, 1877. His body is interred in the Old Cathedral, Vincennes. Born in Baltimore, MD, December 13, 1834. Ordained at Rome, June 14, 1862. Vice-rector of the American College, Rome, 1863-1868. Rector of the North American College, Rome, 1868-1878. 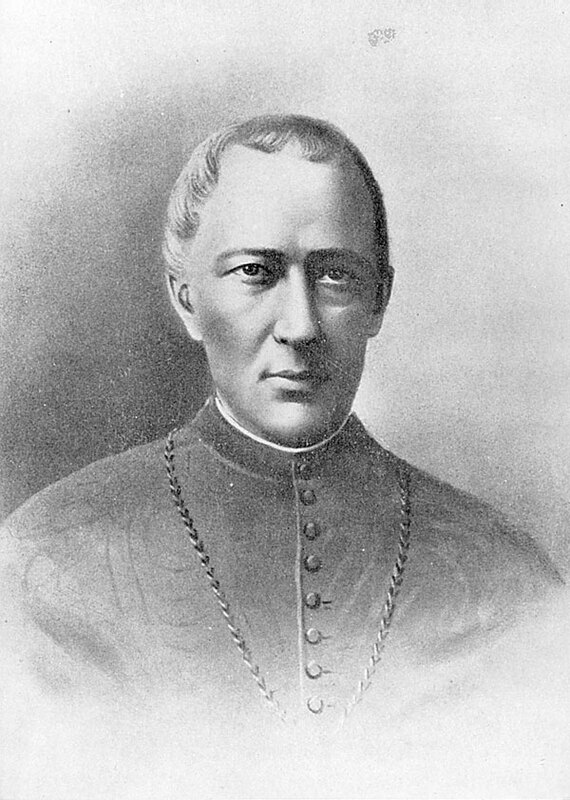 Named bishop of Vincennes, March 26, 1878, at which time he took the name Francis Silas. Consecrated in Rome, May 12, 1878, by Cardinal Alexander Camillus Franchi, assisted by Bishop Santori of Fano, Italy, and Bishop Edward Agnelli, president of the Academia Ecclesiastica at Rome. Enthroned in the cathedral at Vincennes, August 11, 1878. Arrived in Indianapolis, August 17, 1878. Died at Indianapolis, September 7, 1918. His body was interred in the crypt of thecathedral, Indianapolis. On June 8, 1976, Bishop Chatard’s remains were transferred from the cathedral, Indianapolis, to the Calvary Chapel Mausoleum, Indianapolis. Born in St. Louis, MO, May 11, 1870. Ordained priest at Indianapolis, September 24, 1892. 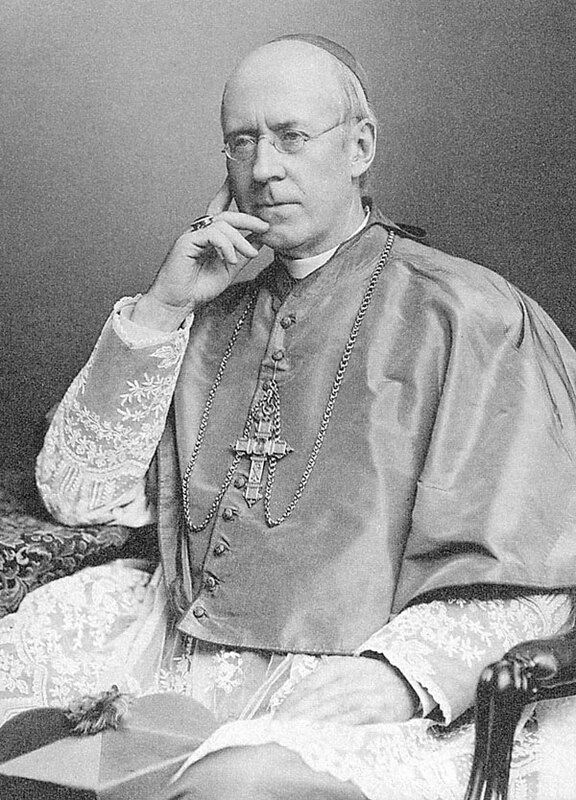 Appointed vicar general, February 13, 1910. 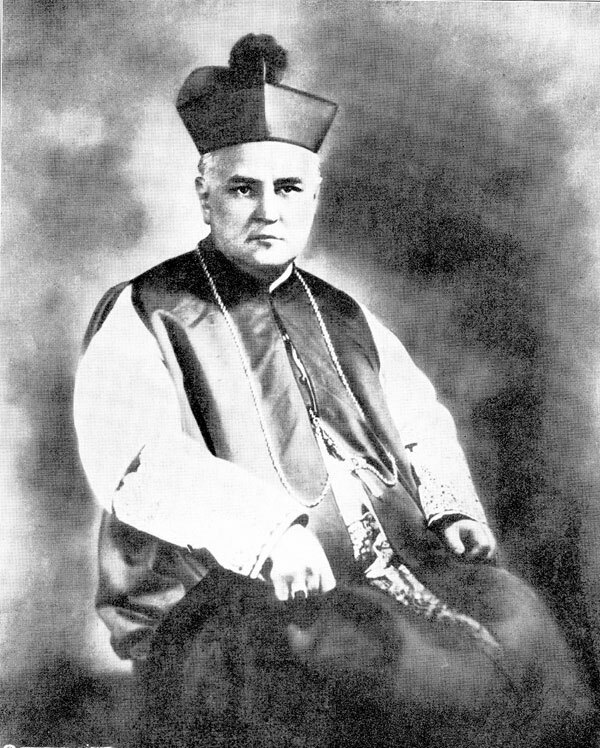 Named titular bishop of Flavias and coadjutor to the bishop of Indianapolis, July 27, 1910. Consecrated in the cathedral at Indianapolis, September 15, 1910, by Archbishop Diomede Falconio, apostolic delegate to the United States, assisted by Bishop Denis O’Donaghue of Louisville and Bishop Herman Alerding of Fort Wayne. Bishop of Indianapolis, September 7, 1918. Named assistant at the pontifical throne, February 4, 1928. Died at Indianapolis, December 8, 1933. His body was placed in the crypt of the cathedral, Indianapolis. On June 8, 1976, Bishop Chartrand’s remains were transferred from the cathedral, Indianapolis, to the Calvary Chapel Mausoleum, Indianapolis. Born in New Albany, IN, July 20, 1892. Ordained priest at St. Meinrad, May 30, 1917. Named rector of the Cathedral of SS. Peter and Paul, Indianapolis, in 1924. Appointed titular bishop of Hippo and auxiliary to the bishop of Indianapolis, February 3, 1933. Consecrated in the cathedral at Indianapolis, March 28, 1933, by Bishop Chartrand, assisted by Bishop Emmanuel Ledvina of Corpus Christi and Bishop Alphonse J. Smith of Nashville. Made vicar general of the Diocese of Indianapolis, February 5, 1933. Bishop of Indianapolis, March 24, 1934. Installed as first archbishop of Indianapolis, December 19, 1944, by the Most Reverend Amleto Giovanni Cicognani, apostolic delegate to the United States. Transferred to St. Louis by virtue of apostolic letters dated July 20, 1946. Formally installed in the cathedral of Saint Louis, October 8, 1946. Proclaimed and created a cardinal by Pope John XXIII on January 16, 1961. Died at St. Louis, June 10, 1967. Buried in Calvary Cemetery, St. Louis, MO. Born in Fredericktown, MO, March 18, 1890. Ordained priest at Kenrick Seminary, St. Louis, MO, June 11, 1915. Appointed bishop of Leavenworth, May 29, 1937. Consecrated in the new cathedral at Saint Louis, September 21, 1937, by Archbishop John J. Glennon, assisted by Bishop Christopher Byrne of Galveston and Bishop Christian H. Winkelman, auxiliary of St. Louis. 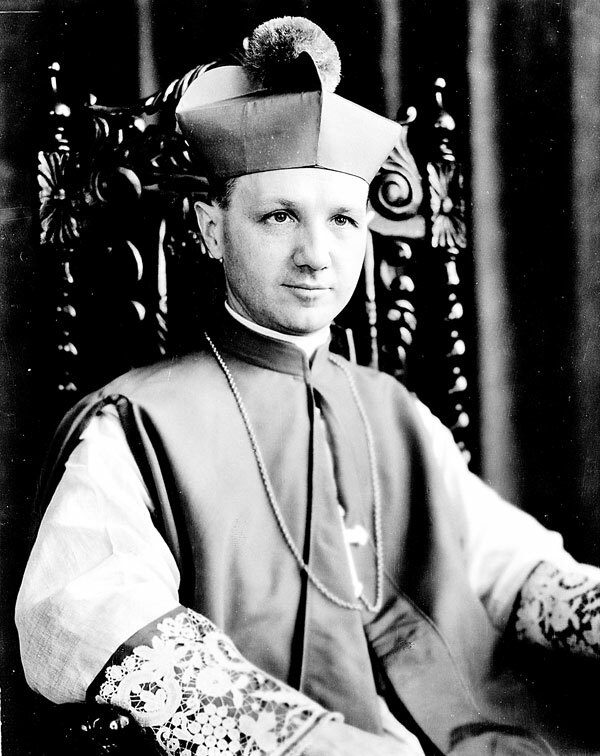 Named archbishop of Indianapolis, July 20, 1946. Formally installed in metropolitan see of Indianapolis by the Most Reverend Amleto Giovanni Cicognani, apostolic delegate, October 10, 1946. Appointed assistant to the pontifical throne, February 3, 1961. 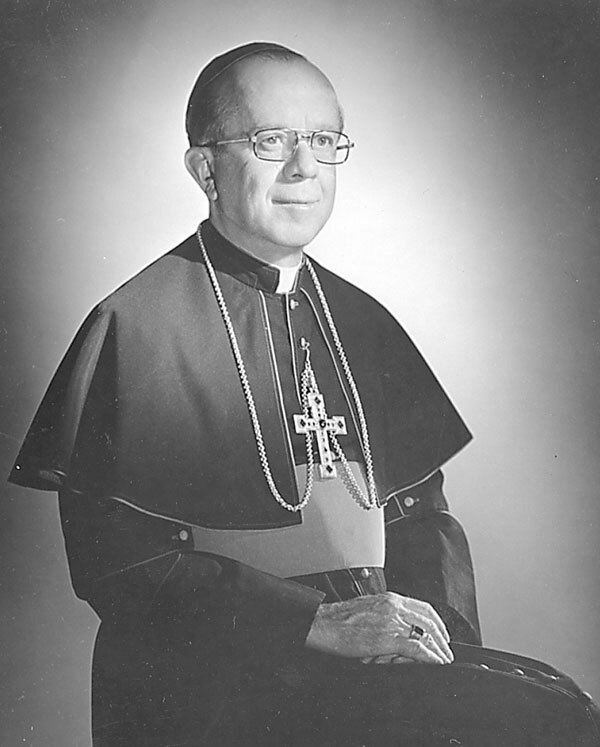 Retired January 14, 1970 and named titular archbishop of Elicroca. Died February 17, 1984, in St. Augustine Home, Indianapolis. Funeral, February 22, 1984, SS. Peter and Paul Cathedral, Indianapolis. Interment in Calvary Chapel Mausoleum, Indianapolis. Born in Cedar Rapids, IA, August 23, 1911. Ordained priest in Rome, March 19, 1937. 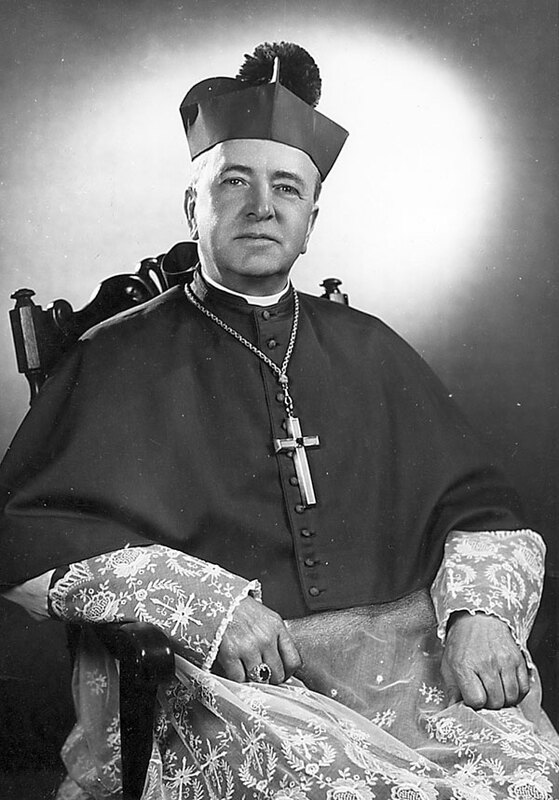 Appointed titular bishop of Hemeria and auxiliary to the archbishop of Dubuque, March 9, 1957. Consecrated in St. Raphael Cathedral, Dubuque, April 24, 1957, by Archbishop Amleto Giovanni Cicognani, apostolic delegate, assisted by Archbishop Leo Binz of Dubuque and Bishop Loras T. Lane of Rockford. Appointed bishop of Des Moines, February 3, 1965. Named titular archbishop of Tamalluma and coadjutor, with the right of succession, to archbishop of Indianapolis, July 26, 1967. Formally received in the metropolitan see of Indianapolis in SS. Peter and Paul Cathedral, October 10, 1967. Became archbishop of Indianapolis, January 14, 1970. Resigned as archbishop of Indianapolis, March 26, 1979. Died on October 17, 1979, in St. Vincent Hospital, Indianapolis. Funeral, October 22, 1979, at SS. Peter and Paul Cathedral, Indianapolis. Interment in Calvary Chapel Mausoleum, Indianapolis. Born in St. Louis, MO, August 3, 1921. Ordained priest in St. Louis, Decem-ber 21, 1946, by Archbishop Joseph Ritter. Appointed national director of the Society for the Propagation of the Faith in the United States, December 28, 1966. Named titular bishop of Thisiduo and auxiliary bishop to the cardinal archbishop of St. Louis, January 28, 1972. Ordained in St. Peter’s Basilica, Rome, February 13, 1972, by His Holiness Pope Paul VI. 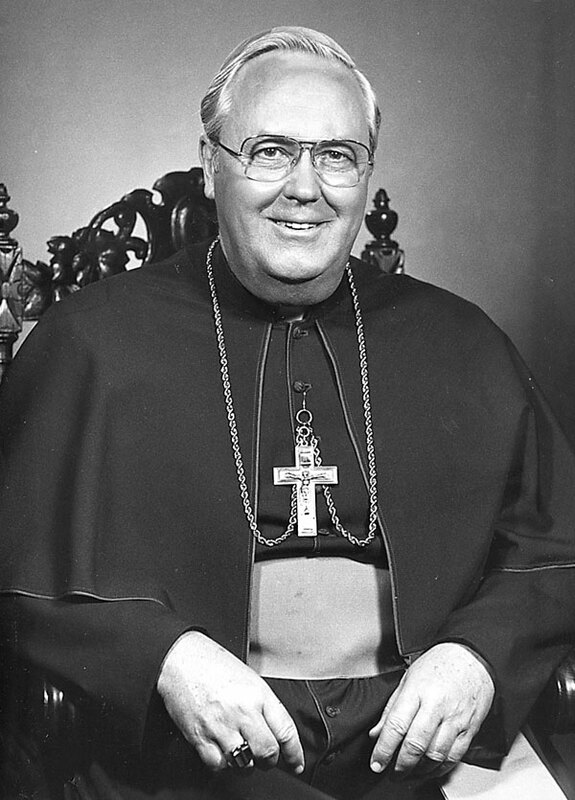 Named fourth archbishop of Indianapolis, November 27, 1979. Formally installed in metropolitan see of Indianapolis by the Most Reverend Jean Jadot, apostolic delegate in the United States, in SS. Peter and Paul Cathedral, January 10, 1980. Died January 10, 1992, at his residence, Indianapolis. Funeral, January 16, 1992, at SS. Peter and Paul Cathedral, Indianapolis. Interment in Calvary Chapel Mausoleum, Indianapolis. Born in Jasper, IN, April 20, 1938. Son of Rose (Blessinger) and Carl Buechlein, Holy Family Parish. Solemn profession of vows as a Benedictine monk, August 15, 1963. Ordained at Saint Meinrad Archabbey, May 3, 1964, for Saint Meinrad Archabbey. President-rector of Saint Meinrad School of Theology, August 1971–May 1982; president-rector of Saint Meinrad School of Theology and Saint Meinrad College, May 1982–May 1987. 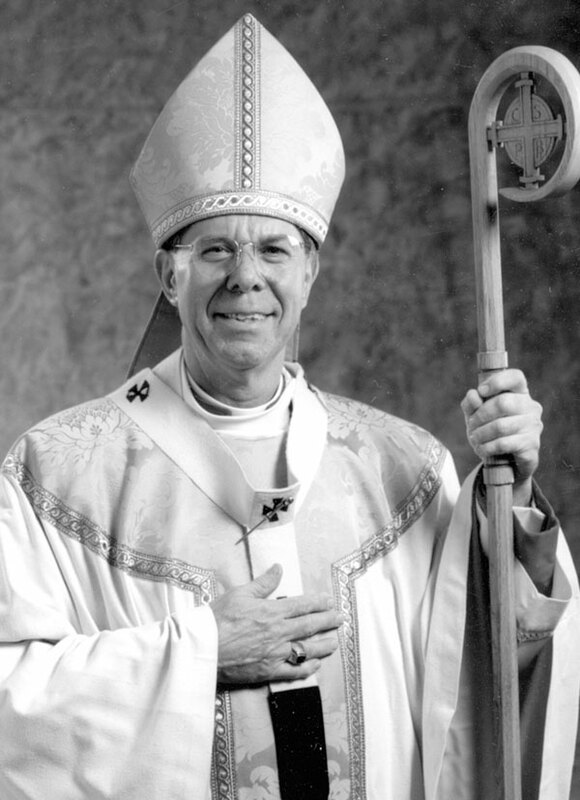 Named third bishop of the Diocese of Memphis, TN, by Pope John Paul II. Ordained and installed, March 2, 1987. Named fifth archbishop of Indianapolis by Pope John Paul II, July 14, 1992. Formally installed in metropolitan see of Indianapolis by Archbishop Agostino Cacciavillan, papal pro-nuncio to the United States, in SS. Peter and Paul Cathedral, September 9, 1992. His	early	retirement due to health reasons was accepted by Pope Benedict XVI on September 21, 2011. Died January 25, 2018. Funeral, January 31, 2018, at SS. Peter and Paul Cathedral, Indianapolis. Burial in the cemetery of the monastic community of Saint Meinrad. Pope Benedict XVI appointed Archbishop Joseph W. Tobin, C.Ss.R., the Archbishop Secretary of the Vatican Congregation for Institutes of Consecrated Life and Societies of Apostolic Life, the sixth archbishop of the Archdiocese of Indianapolis on October 18, 2012 in Rome. 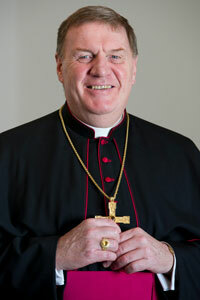 Archbishop Tobin was installed during a Mass on December 3, 2012 at SS. Peter and Paul Cathedral in Indianapolis. On November 7, 2016, he was appointed the Archbishop of Newark, N.J. He was officially made a Cardinal of the Catholic Church on November 19, 2016. He was installed in Newark on January 6, 2017.